Cursillo, (a Spanish word meaning "a short course") is a movement of the church. The purpose is to help those in the church understand their individual callings to be Christian Leaders. Cursillo is a help in that Spiritual Journey. The meaning of the "short course" is two fold in that besides being a Three Day Weekend course, it is also known as a running course or a track to living as Christian witnesses. laptop Click here for more information! envelope-open Click here to email! The Daughters of the King is an Order for women who are communicants of the Episcopal Church, or churches in communion with it, or churches who are in the Historic Episcopate. Members undertake a Rule of Life, incorporating the Rule of Prayer and the Rule of Service. By reaffirmation of the promises made at Confirmation, a Daughter pledges herself to a life-long program of prayer, service and evangelism, dedicated to the spread of Christ's Kingdom and the strengthening of the spiritual life of her parish. Meetings are the third Sunday each month. 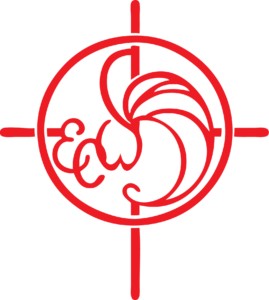 The Episcopal Church Women is an organization within the Church which unites all women through worship, service, study and fellowship. Each woman of St. Nicholas Church is a member of E.C.W. and is welcome to participate in any or all of its programs. Because of its many fundraising efforts, ECW is able to contribute to various outreach programs, social service agencies, and programs within our church that provide educational and life-skills instruction. 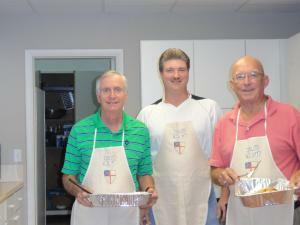 The Saint Nicholas Men’s Club (SNMC) is a fellowship open to all men of the parish who meet on the third Sunday of the month to host a Pancake Breakfast between services in the Brach Parish Hall. Pancakes (both blueberry and plain), French toast, scrambled eggs, sausage, coffee and orange juice are served. The cost is a free will offering with a suggested minimum of $3.00 per person. The event allows our 8:00 am and 10:30 service parishioners to gather as “one” to enjoy discussion and companionship with one another. The Pancake Breakfast is also open to the public and parishioners are encouraged to bring their friends and neighbors for a hearty breakfast and to discover the warmth of the Saint Nicholas community. Receive our announcements in your email!